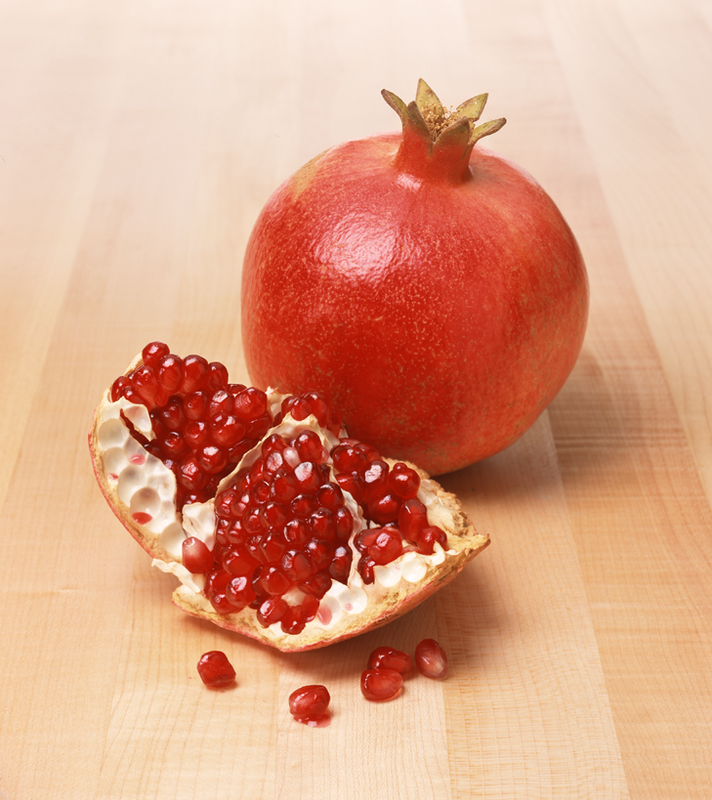 Pomegranates are in season now in North America. I love the taste of these amazing fruits, as well as the memories they invoke of the pomegranate tree in my grandparent’s backyard in India. Everytime we would visit as children, my wonderful aunt would select some from the tree and peel them for us. 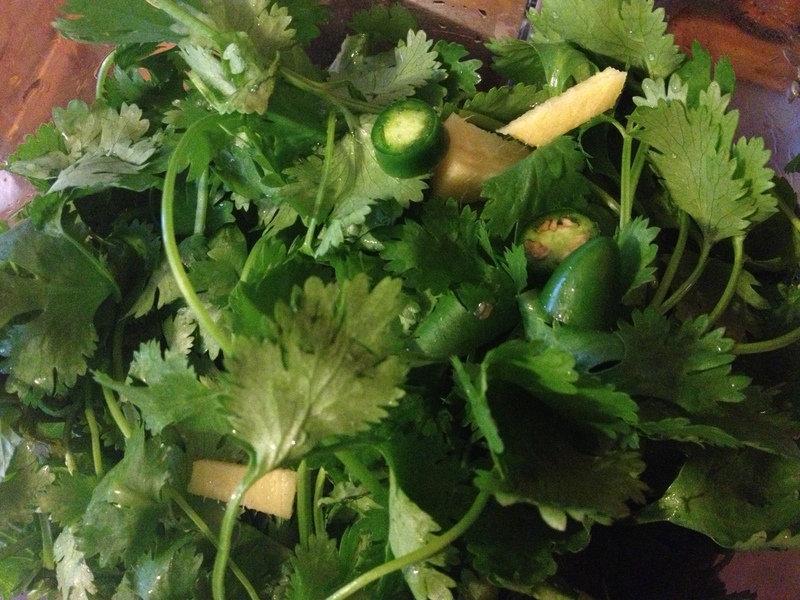 They taste great as is and are amazingly healthy. They are high in vitamin C, potassium, fiber and antioxidants. 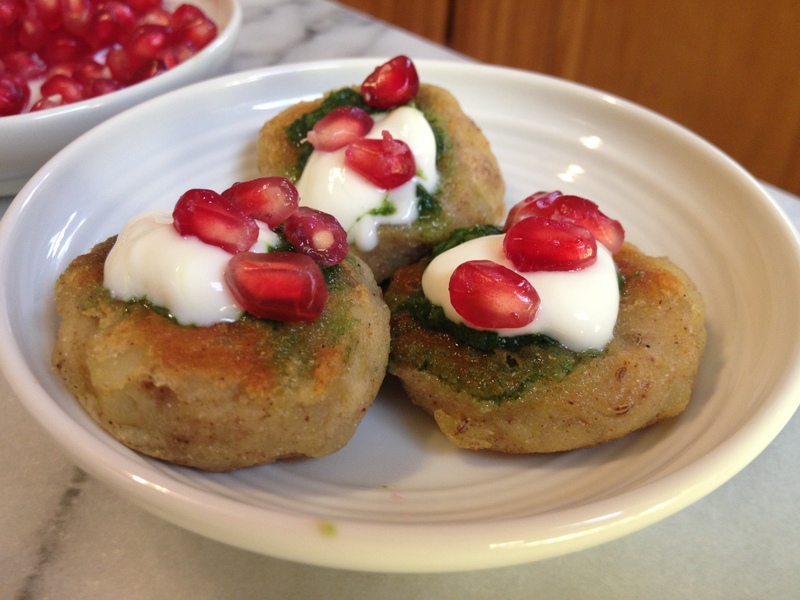 I’ve been thinking of a way to include them in globalveg and have found an unlikely recipe- my version of the famous “Aloo Tikki” from northern India. 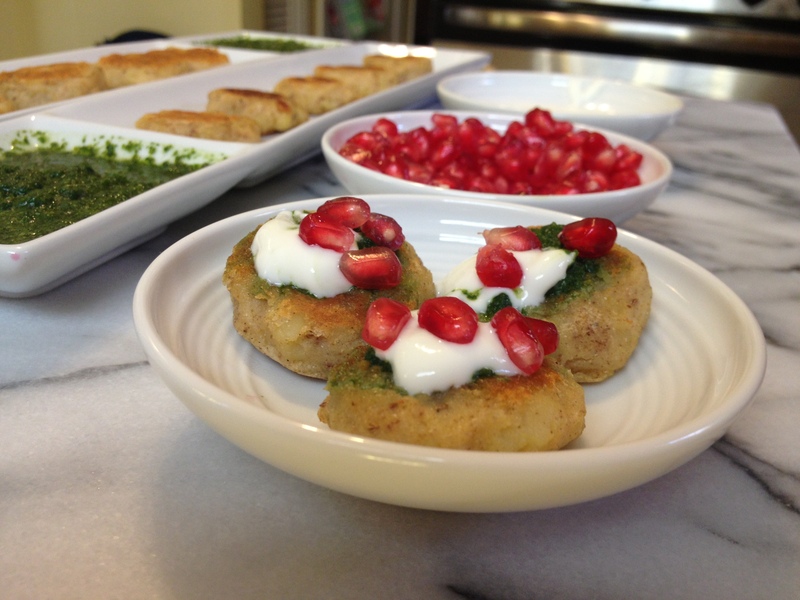 To serve, I’ve topped these crispy potato patties with cilantro chutney, a dollop of yogurt and a sprinkling of red ripe pomegranate seeds. It’s an infusion of flavors and colors. 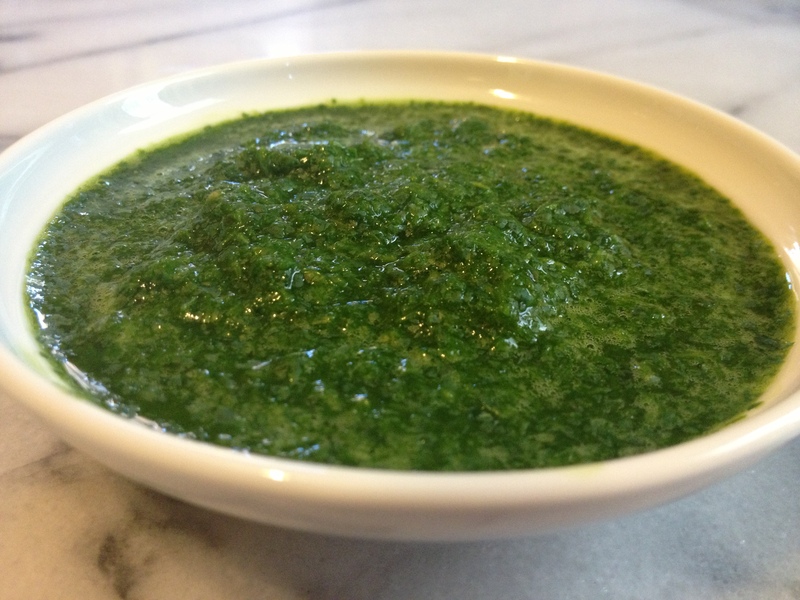 This is a very simple recipe and a great appetizer for a party. Put out the patties alongside the toppings and let guests serve themselves. 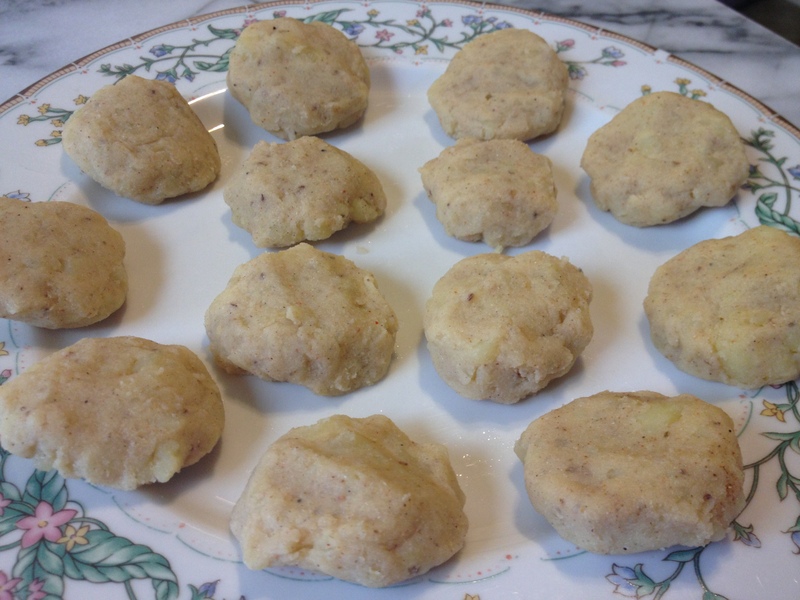 The patties do not contain dairy, so your vegan guests only need to skip the yogurt. 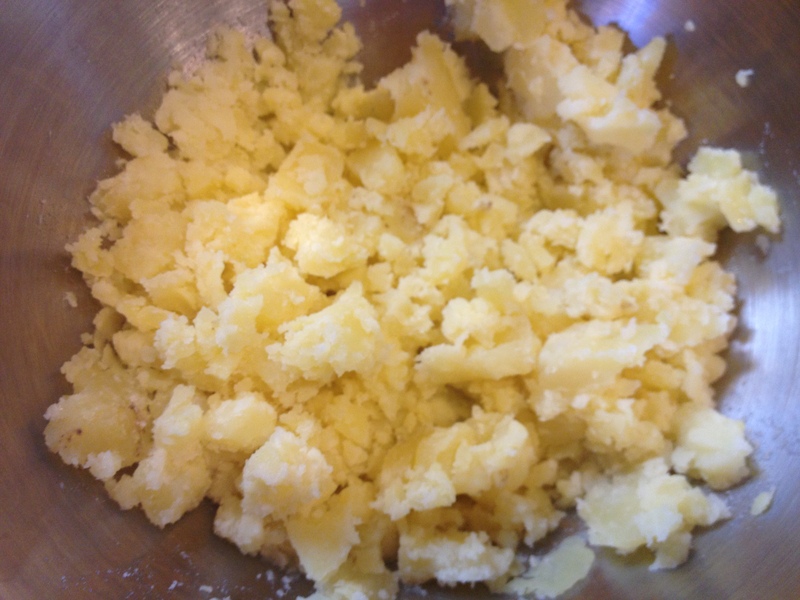 Add all ingredients to the food processer and process until smooth. You can refrigerate until ready to use. 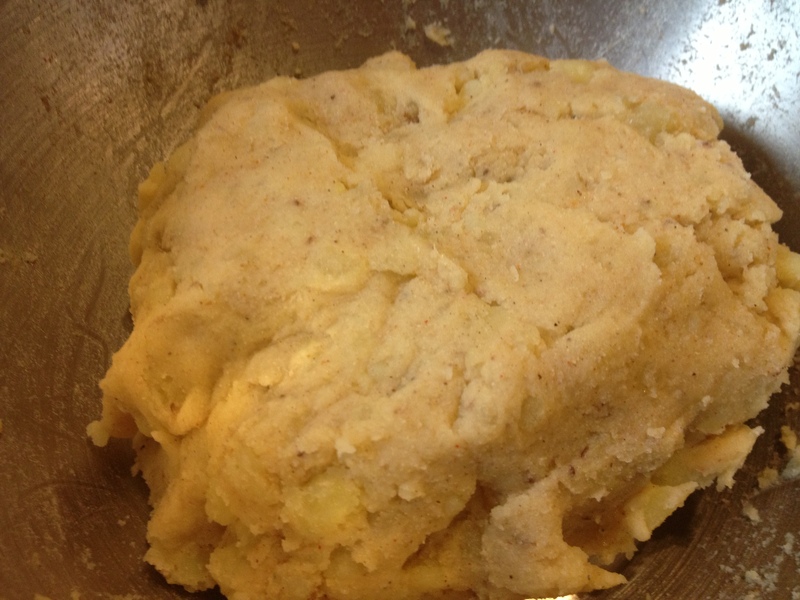 Mash the potatoes in a large bowl using a fork. It’s ok if its lumpy. 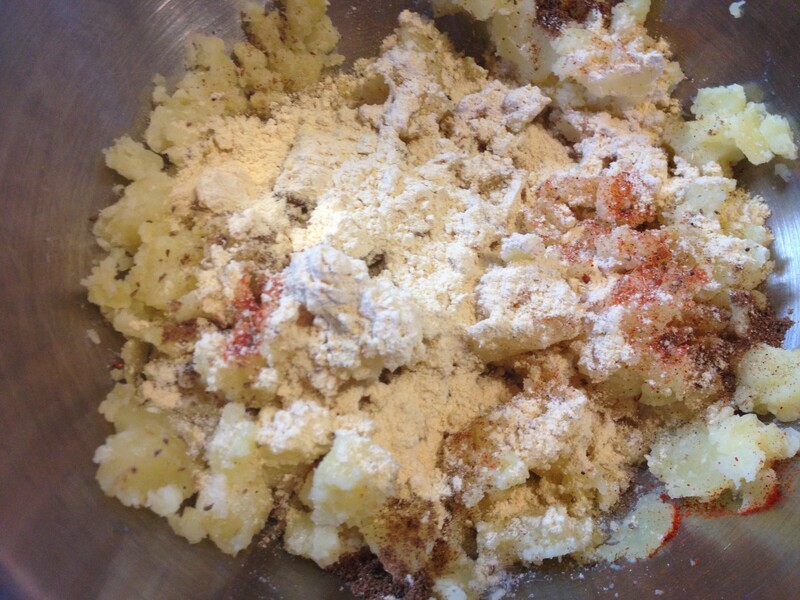 Add the remaining ingredients (from garam masala to chickpea flour). 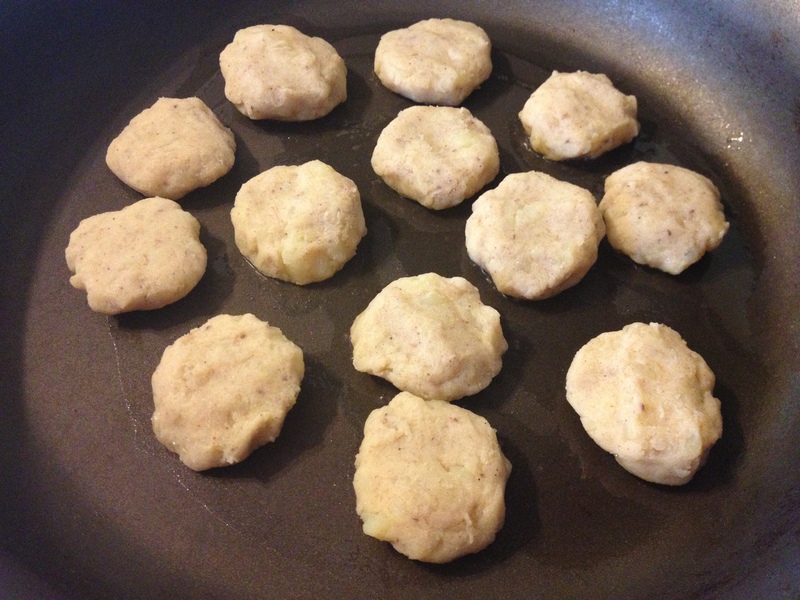 Form patties. I was able to make about 20 small patties. At this point, you can wrap them in plastic wrap and refrigerate for later if you would like. 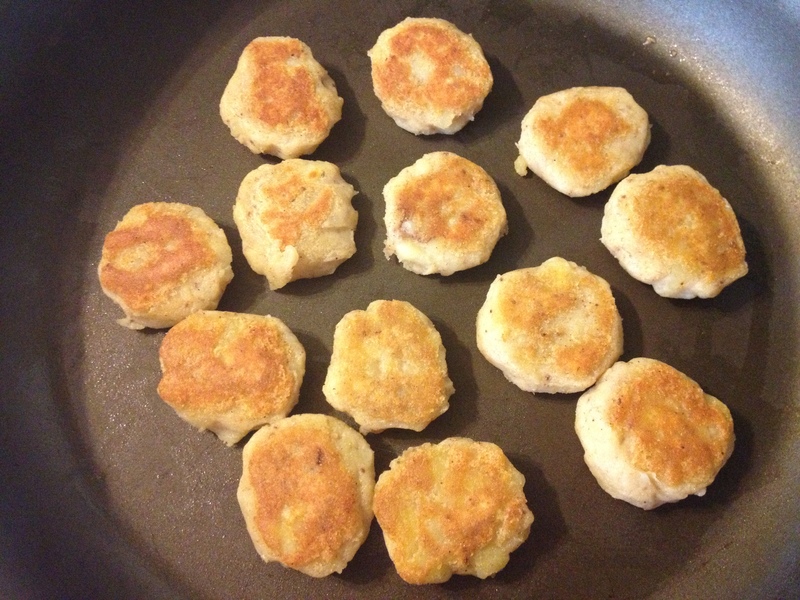 Heat a skillet with 2 tablespoons of olive oil and add the patties. Cook this side until crispy. Put out the toppings and let your guests serve themselves. 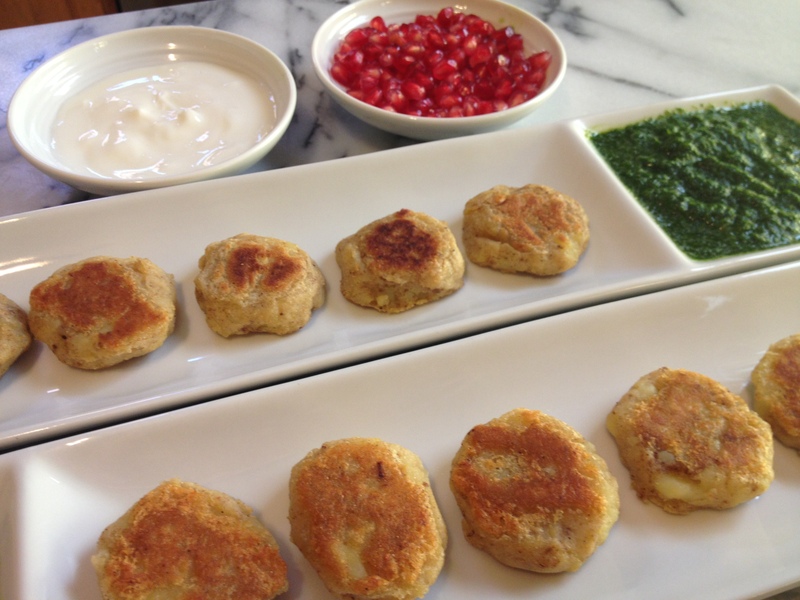 General instructions: top the patties with the cilantro chutney, followed by yogurt and the pomegranate seeds.